Home Tags Posts tagged with "Romania"
Despite my original intention to go to the Finger Lakes for the January duck season like I did last year, I ended up making other plans. My only waterfowl hunting trip this season has been a weekend in the Thousand Islands region with the usual Bill Saiff Outdoors crew, but it was a productive one. A year earlier, around the same time in October, we had been mostly sitting quietly and admiring the foliage, calling the occasional duck, and rarely getting an opportunity to shoot. This time was the complete opposite. We got our fair share of action, even bagging our limit before mid-morning — the only drawback being that we then found ourselves staring at the ceiling of the legendary West View Lodge for the rest of the day. Back home with my share of duck meat (mostly Mallards this time), I decided to start exploring La Cuisine du Gibier à Plumes d’Europe by Benoît Violier, a fabulous tome with over a thousand pages of sumptuous game bird recipes but sometimes bizarre and dated pictures. Violier isn’t any ordinary cookbook writer; he’s an avid hunter who seemingly shot every small and wild game ever known to man, and he’s considered one of the world’s best chefs. Or, well, he was, until he committed suicide two years ago. Move over, Dracula! It turns out that cabbage is the other thing Transylvania is known for. When prepared Cluj-style, cabbage is alternated with layers of a boiled rice/ground pork/cream mixture, and baked in a dish. Boiled rice, however, has never been my thing, and I think it can be substituted advantageously with a sort of risotto with some mushrooms. To stick to the waterfowl theme, I’m also replacing the pork with wild duck meat. 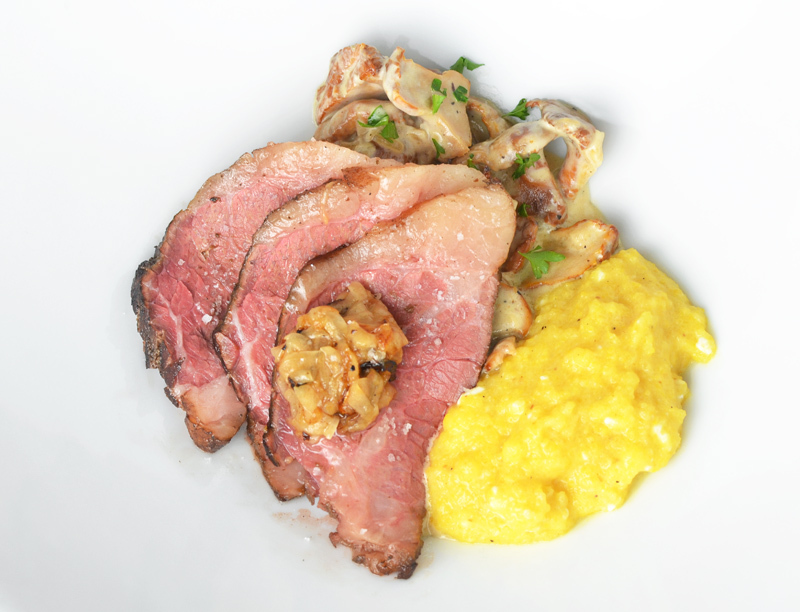 Roman’s bean recipe is a kind of peasant soufflé, wherein the vegetables are mixed with cheese, butter, and smoked pork, bound with eggs, and gratined. As such, it rather fails to impress. It looks like an ugly mess of overcooked beans, or a dry frittata that fell on the floor and whose pieces were collected in a dish, maybe for the dog to eat. But with more or less the same ingredients, you can toss the blanched green beans into a kind of duck carbonara sauce (loosely adapted from this NYT recipe) that both looks and tastes great. 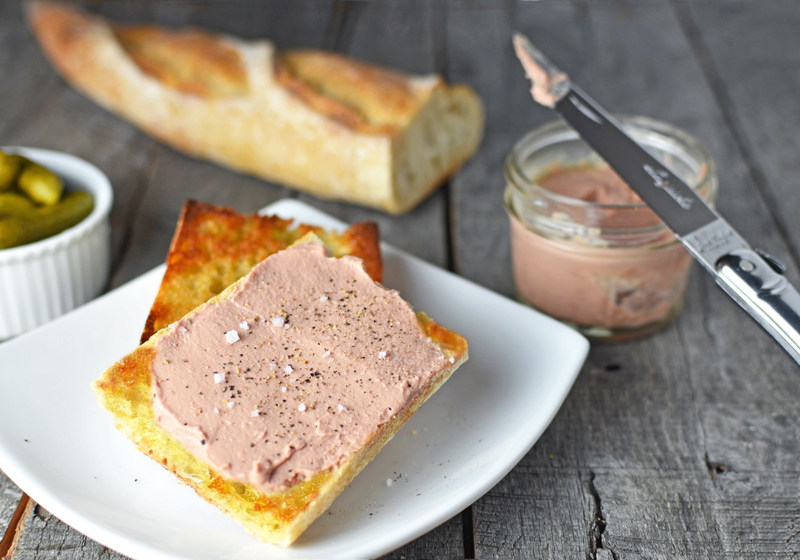 Violier recommends serving the pâté with a salmis sauce base, and I’ve followed his advice by creating a truffle salmis sauce. The black truffle is optional (and probably as Romanian as pâté pantin), but it’s an appropriate complement to the wild duck’s gamey flavor. With the foie gras, it also makes a worthy homage to the late Violier and the late Roman, two chefs who probably never suspected that offspring of their creations might one day share the same table. In a small saucepan over medium heat, sauté the shallots in butter until translucent. Remove from the heat, and let cool. Add the duck scraps, bacon, livers, bread, and shallots to a bowl. 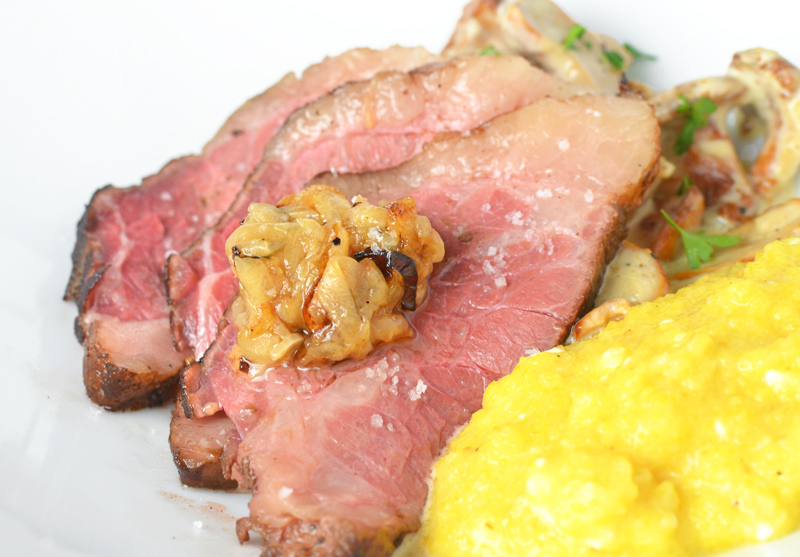 Season with the salt, curing salt, pepper, and caraway, and combine with a spatula. Pass the mixture through the fine die of a meat grinder into another bowl. 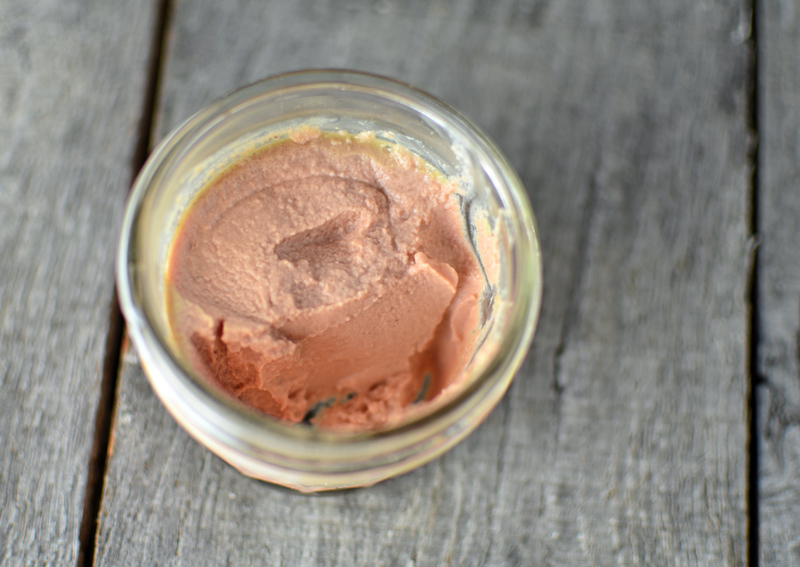 Using a fork, mix in the foie gras terrine and the egg, then gently fold in the duck breast and raw foie gras with a spatula. Refrigerate until needed. On a lightly floured surface, roll the puff pastry to a 40 cm x 20 cm rectangle, then cut into a 20 cm x 12 cm rectangle and a 28 cm x 20 cm rectangle. Mix the egg yolk and water in a cup to make an egg wash. Place the smaller rectangle of puff pastry on a piece of parchment paper. Brush with egg wash, and top with the forcemeat, leaving 3 cm on each side. Cover with the other rectangle of dough, gently pushing the air out. Seal the edges with your fingers, and cut any extra dough to create a perfect rectangle. Brush the top with egg wash, and refrigerate for at least 1 hour. Brush with the egg wash a second time. Carve two small holes in the dough and insert two rolled pieces of parchment paper to create chimneys (see picture below). Transfer to a baking sheet, and bake in a 220 C / 425 F oven for 50 to 60 minutes, until the internal temperature reaches at least 70 C / 160 F and the dough is golden brown. 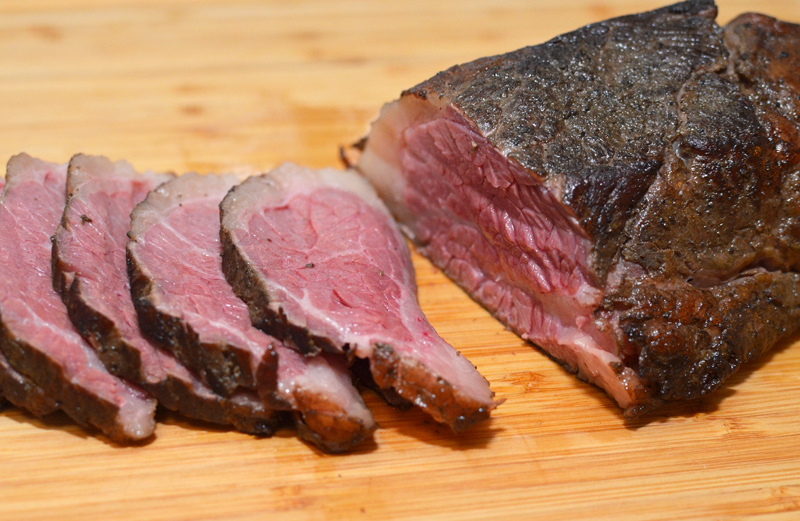 Let rest for 15 minutes, then cut into 4 pieces and serve. In a saucepan over medium heat, sauté the shallots in canola oil until translucent. Add the livers and cook for a couple minutes, stirring constantly. Pour in the stock, bring to a boil, and simmer for 30 minutes without a lid. Pass the sauce through a chinois, and return to a clean saucepan. Bring back to a boil, and reduce to 100 g.
Just before serving, whisk in the butter, grate the truffle into the saucepan using a Microplane grater, combine, and remove from the heat. Pass the duck scraps through the fine die of a meat grinder. In a saucepan over high heat, sauté the ground duck meat in the olive oil until it starts to brown. Stir in the onion, and reduce the heat to medium. Add the mushrooms, season with salt and pepper, and cook for a couple minutes, stirring frequently. Stir in the rice, then add the stock, cover, and simmer over low heat until all the liquid is absorbed. If the rice isn’t fully cooked, add a bit of water and cook some more. Add the crème fraîche and parsley, mix, and let rest for 30 minutes. Thinly slice the cabbage using a mandoline, then chop the slices with a knife a couple of times. In a saucepan over medium heat, sauté the cabbage in the olive oil. Season with salt and pepper, and cook until soft. Add the stock, and simmer until completely reduced. Remove from the heat, stir in the lemon juice, and reserve. Grease four 6.5 cm diameter ring molds with butter, and place them on a baking sheet lined with parchment paper. Fill each ring mold with five layers in the following order: cabbage, risotto, cabbage, risotto, cabbage. Cook in a 175 C / 350 F oven for 25 minutes. Serve, removing the ring molds. Blanch the beans in a pot of salted boiling water. Shock in a bowl of ice water, drain, cut in half (or smaller pieces if desired), and reserve. In a bowl, whisk together the egg, egg yolk, heavy cream, and kashkaval. Season with paprika. Heat the oil in a pan over medium heat, add the pancetta, and sauté until the fat just renders and the meat is on the edge of crispness but not hard. Add the beans, and sauté for another minute. Add the egg and cheese mixture, and transfer to a bowl immediately. Toss well and serve. 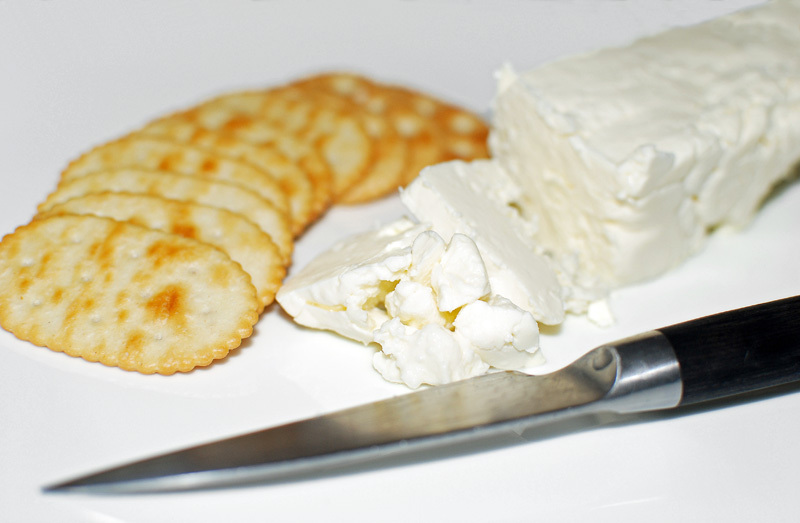 Brynza, a cheese similar to feta, is made throughout Central and Eastern Europe. The word comes from brînză, Romanian for cheese. It’s an important component of Ukrainian, Moldovan, Romanian and Balkan cuisine, and there’s even an annual Brynza Festival every fall in the town of Rakhiv, in Transcarpathian Ukraine. The cheese is usually made from sheep’s milk, but cow’s and goat’s milk can be used, as well. Sometimes all are used together. My usual provider didn’t have any sheep’s milk available, so I used cow’s milk this time around. I think there’s still some fine-tuning required (see below), but this recipe does produce a nice cheese already. You can get cheese-making supplies here or here. Combine the milk and diluted calcium chloride, and heat to 86 F. Stir in the mesophilic starter, cover, and let ripen for 1 hour. Add the diluted rennet, mix thoroughly, cover, and let set at 86 F for 1 more hour. 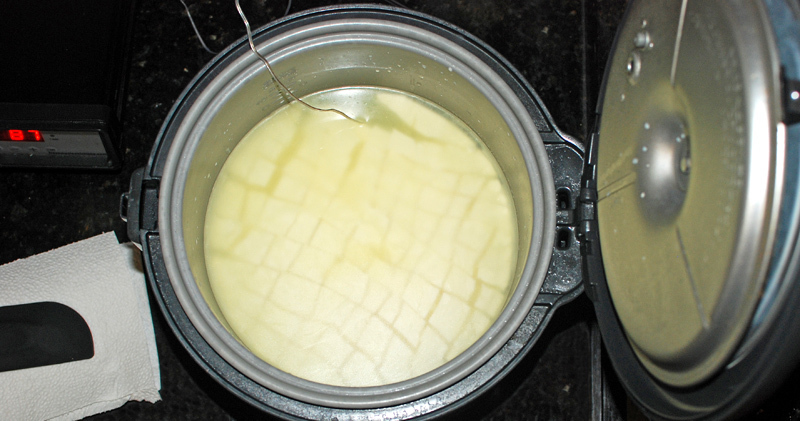 Cut the curd into 1/2 cubes, let rest for 10 minutes, then stir gently every once in a while for 20 minutes. Pour the curds into a colander lined with a double layer of cheesecloth (or a thin kitchen towel). Let drain for a couple hours. Gently mix in 2 tsp salt, then tie the corners of the cloth, and hang like a bag. Let drain for at least another 4 hours. 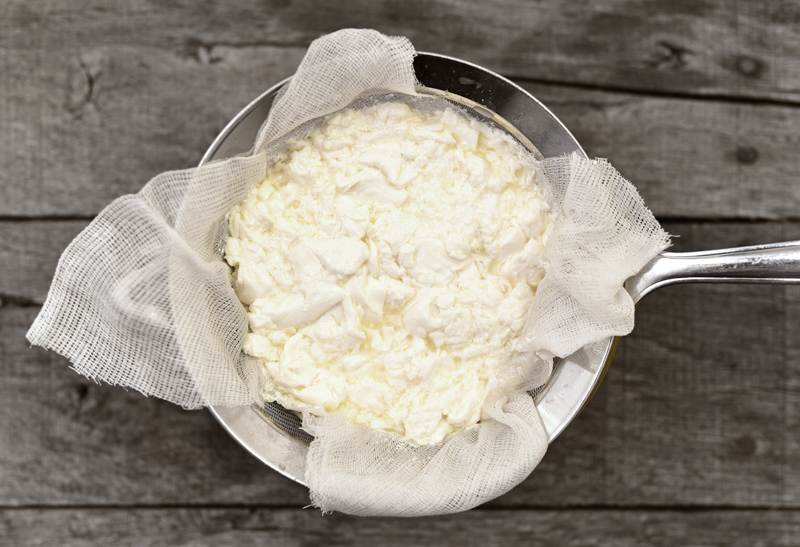 Remove the curds from the cheesecloth, tightly wrap in plastic, and refrigerate for 4 days. 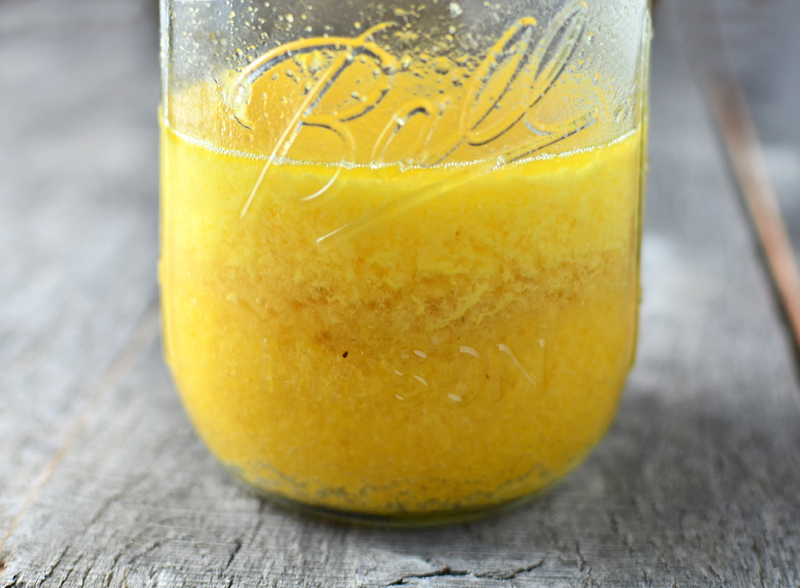 Transfer the cheese to a quart container, and fill with a a brine made of cold water blended with 7% salt. Refrigerate for at least 1 day. The cheese can be kept for about a week. The cheese is not quite as firm as store-bought brynza or feta. I’m considering increasing the amount of calcium chloride. I may try to shorten the 4 days of aging before the brining, as I’m not sure it actually brings much to the texture or flavor. If you know where to find sheep’s milk in New York, let me know! I’ve used Udder Milk Creamery in the past, but they’ve been out of stock for a while now.